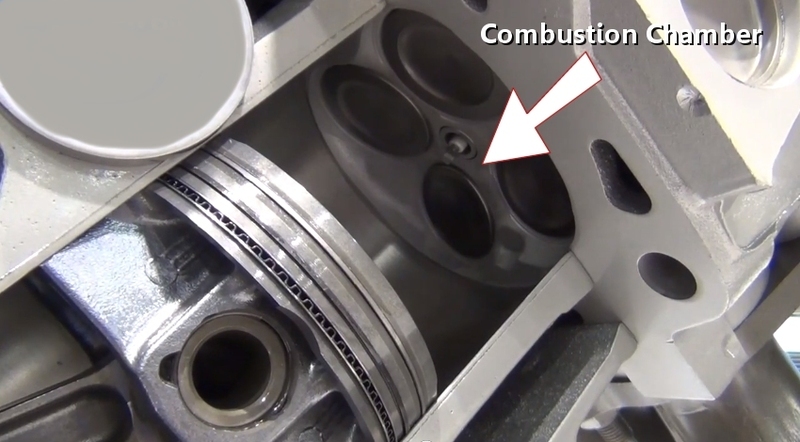 A cylinder head performs many tasks such as holding and controlling the combustion process while allowing intake and exhaust gases to enter and exit the engine. 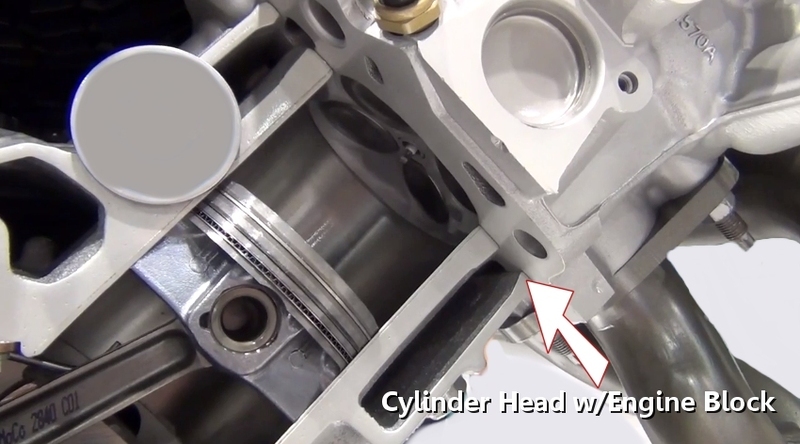 Featured in the image above is a cross section of a cylinder head that incorporates intake and exhaust ports and valves. A cylinder head is fastened to the engine block using head bolts and sealed using a head gasket. A cylinder head also accommodates the intake and exhaust manifolds. These manifolds are sealed to the head using intake and exhaust manifold gaskets. A cylinder head is constructed of cast aluminum or iron which can become cracked if the engine is overheated causing a abnormal condition such as coolant in the engine oil. A side effect of an engine overheated is a head gasket failure which can occur when the metal in the gasket is forced to expand beyond its normal capabilities due to the extreme heat. 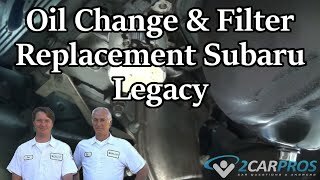 As the intake and exhaust valves start to age through mileage and usage they can begin to leak causing low compression and exhaust gases to enter the intake manifold which will cause a rough engine idle or misfire. A cylinder head replacement is one of the larger jobs in the auto repair business. If you were to take you car into a repair garage or dealer to have a cylinder head replaced you can expect to pay between $2,000.00 and $3,000.00 (US) If just the gasket is being replaced which is more common labor and machine work (resurface the head) should cost between $1,500.00 and $1,700.00 (US). 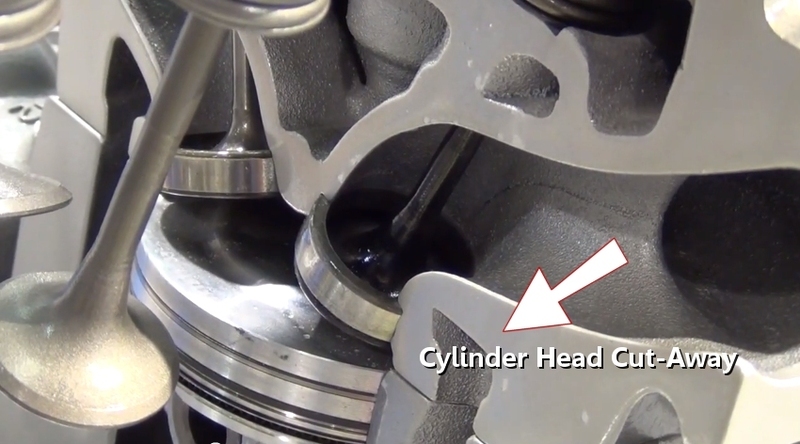 Here is a video of a cylinder head in action. There are several different styles of cylinder heads. We will start with the oldest style of head which is featured on a flat head engine which was popular in the 1950's. These cylinder heads used an inverted valve system which used seal the combustion chamber ports. These heads used no rocker arms and short push rods which were located directly over the camshaft that was located in the engine block. Because of this design compression ratios were relatively low hindering the power of the engine. The design that followed was the rocker arm set up which enabled one intake and one exhaust valve to be directly over the piston which created higher combustion ratios and made more power. This set up used a longer push rod an incorporated and rocker arm located at the top of the cylinder head while still locating the camshaft inside the engine block. This design is still used today in many modern engines. To cut down on valve train weight which hinders the maximum RPM and engine can achieve the overhead camshaft engine is designed to increase power. It also enabled more than two valves per cylinder which further increased engine power output due to the additional volume of intake and exhaust gases. This style of engine is called a overhead cam engine (OHC) which features one cam per head and a dual overhead cam engine (DOHC) which features two camshafts per head. 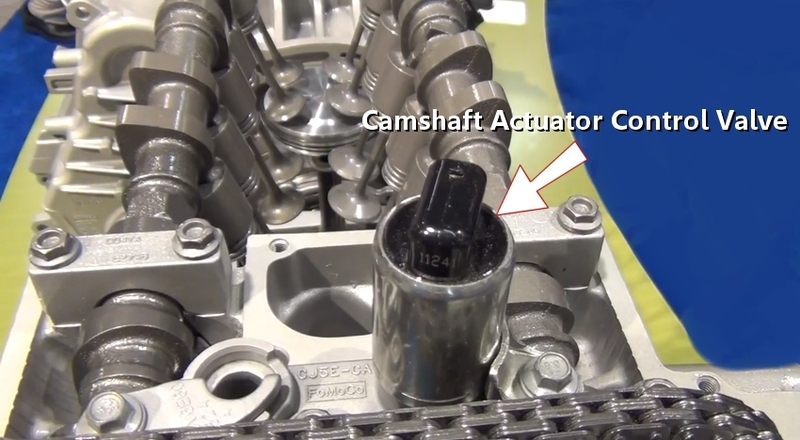 In the cutaway image below you can see this high performance configuration of four valves per cylinder. 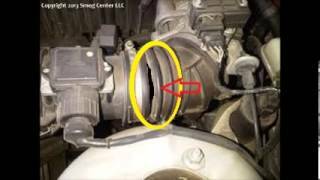 Engine coolant is used to help keep the cylinder head cool when in operation. 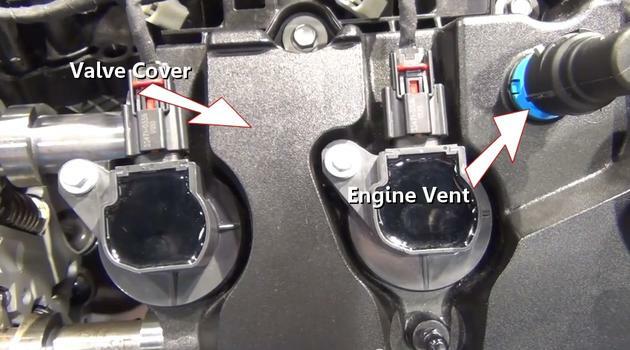 This coolant passes into the cylinder head through the engine block sealed by the head gasket and then transfers out of the cylinder head and into the intake manifold or thermostat housing. In the image below you can see the block cavities that feed the cylinder head which is sealed by the head gasket. A rocker arm is used to open and close the intake and exhaust valves in both overhead cam and in block camshaft configurations. In the cutaway image below a dual camshaft set up is pushing the intake and exhaust valves downward while utilizing a rocker arm and lifter which uses oil pressure to automatically adjust the gap (lash) between the valve and the rocker arm. 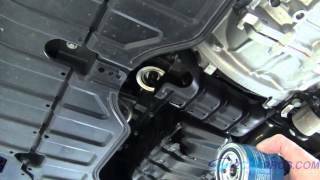 A lifter is located in the engine block for non overhead cam engines. In the image below the lifter is located in the cylinder head utilizing oil pressure to extend and move the rocker arm upward to take up excess gap. Or the lifter can compress to accommodate the valves expansion as the engine heats up. 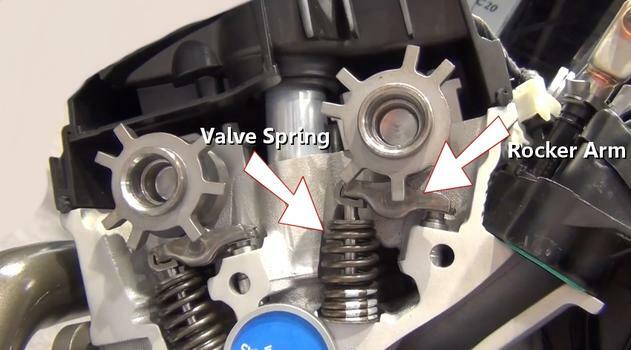 This operation helps the valve sealed to the valve seat located in the cylinder head while keeping combustion gasses from leaking. A cylinder head also supports a host of accessories such as sensors, camshaft actuators, gaskets and ignition system components. 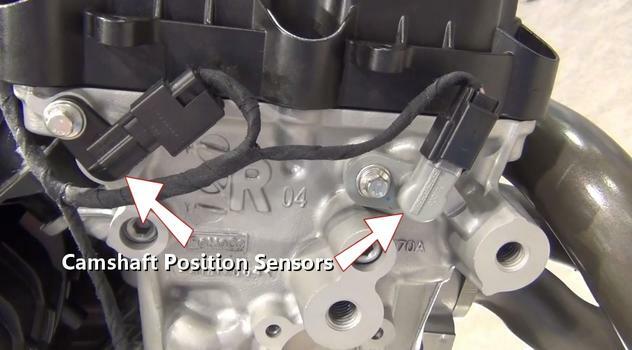 Camshaft position sensors are bolted to the cylinder head either at the front, middle or rear of the camshaft location. A camshaft actuator is located in the cylinder head in some models which controls oil pressure supplied to the camshaft actuator which in turn advances or retards camshaft timing. On a COP (coil over plug) system the ignition coil is bolted to the cylinder head. This configuration is used to remove latency from the ignition coil to the spark plug which increases engine performance. A valve cover is bolted to the cylinder head and is used to control oil leaks and internal crankcase pressure. This cover is sealed to the cylinder head using a valve cover gasket. A crankcase vent is also located on or near the cylinder head. If you have any questions please visit our forum. If you need car repair advice, please ask our community of mechanics is happy to help you and it is always 100% free.